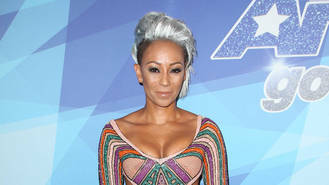 Mel B wants to keep her divorce and custody battle with estranged husband Stephen Belafonte sealed to protect her kids. The former Spice Girls star split from the film producer earlier this year (17), accusing him of abusive behaviour throughout their marriage and impregnating their nanny, and she has now asked the judge overseeing her messy divorce battle to keep the case private because it is beginning to affect her daughters, Phoenix, 18, Angel, 10, and five-year-old Madison, whose father is Belafonte. In papers filed on Thursday (24Aug17) and obtained by TMZ, Mel B claims her estranged husband seems to be enjoying the media attention surrounding their divorce, but she's tired of reporters and photographers hounding her and the kids, especially their daughter. ''While he (Belafonte) may enjoy the media attention, the minor child of this marriage did not ask to be placed in the center of this mounting storm," the latest complaint reads. A hearing has been set for next month (Sep17), when the judge will decide whether to seal the case going forward. Stephen recently won a small custody battle when the judge ruled he could apply for visitation rights to his stepdaughter Angel, whose biological father is Eddie Murphy. And Mel's legal woes are only expanding after her former nanny Lorraine Gilles was granted the right to move forward with her defamation case against the star on Tuesday (22Aug17). Gilles maintains she never slept with Belafonte without the singer's consent and a Los Angeles Superior Court Judge has allowed the case to be heard before a jury next year (18).